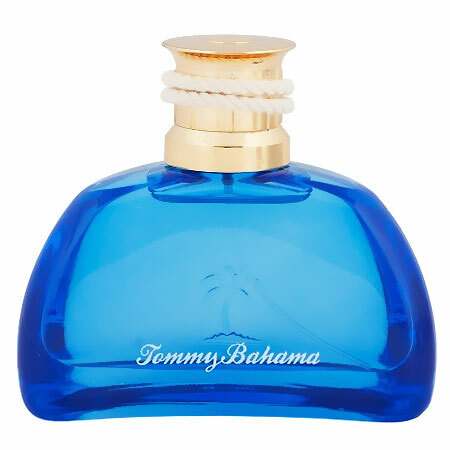 Tommy Bahama Set Sail St. Barts cologne captures an exhilarating burst of freshness found in an island getaway to St. Barts. The brilliant aromatic citrus scent of the Tommy Bahama Set Sail St. Barts stirs the senses with a splash of tequila, a twist of lime, and a hint of tropical musk. The bottle is a custom designed flask inspired nautical blue glass bottle. The bottle cap is a brass yacht ratchet banded with travel worn rope. The folding carton reflects a cool navy linen look with a sea-faring mermaid in white. Click the button below to add the Tommy Bahama "ST. BARTS" cologne 3mL Spray Mini infused with Pheromones by GYMnTONIC.com to your wish list.